Beis Rivka Students. Illustration Photo. Just weeks after a campaign to raise $1.3 million, teachers in Beis Rivka were informed that there wouldn’t be payroll this week, and that there is no projected date for when they will receive it. An email from one of the school’s principals, Mrs. Dina Brawer, informed the division heads of the school that this week’s payroll was being postponed. I am passing on this message to you from the board. There will be no payroll this week. The board is working on the payroll and hope to release it soon but they have no projected date as to when they will do so. Mrs. Boas said if you have any questions she can be reached at extension 1310. This notification came just a few weeks since the school completed a successful matching funds campaign which raised $1.3 million. When we pointed out that one payroll isn’t a million dollars he clarified that over the years prior to the board taking over the school incurred a lot of debt, and a number of those matchers were simply forgiving that debt. So in essence the only money raised was the $350,000 from the individual donors. Each bi-weekly payroll is estimated at around $350,000. I did not donate for past debt! The fundraiser was advertised as raising money for Now. So our daughters and granddaughters can get an education from teachers who are being paid NOW! Totally disgusted with this deception! Ridiculous, not another bunch of thugs running Bais Rivkah. Get the young blood involved , they have business heads, have financial stability, will not take from the pot, they have their own money. So , in actuality, they did not raise that amount of money. Teaching teachers a lesson isn’t easy, yet someone has gotta do it !?! Relax no one has to go hungry ! You’ll all appreciate each other a bit more ! One step backwards should lead to two steps forward ! Money is the root of currency ! No. The only bloc should know we are being scammed. Can’t handle the truth ? I know it hurts. Too bad. Totally agree!! Why is this on the World Wide Web? What do we gain from it? Today is 2/1. That means the Checks aren’t yet even a day late. Relax, breath and let live!! No. We need full disclosure. Enough of pulling the wool over or eyes. This had to be made public or it will never stop. Enough. Why does Beis Rivkah deserver privacy? It’s a public institution that takes public money (both donations from people and government grants.) There is not, and SHOULD not be any expectation that the accounting should be kept private. Mrs. Boas is a non-profit professional with many years of experience. She is well aware that the books are subject to a lot of public disclosure. Finally some truth is coming out! As soon as Avremel stope stealing BR funds for aguch Philadelphia, that is when BR will function. Can you provide proof or a source for “Avremel stope stealing BR funds for aguch Philadelphia”? First of all jacobson is incoherent. It’s over 25 years that a check didn’t bounce. In the past few months since this new lady came in checks are bouncing all over the place. Beis rivkah books were perfect. In fact the board had multiple accounting firms review and audit and couldn’t find one penny off. If anything the real issue in that board members are using the school as a private game. Including taking very high interest on loans. I haven’t commented on this subject at all. I personally was invigorated extremely upbeat and positive with the takeover of the financial department. However, at this time I honestly feel this is bs. This new group youngsters energetic charismatic guys. Sweet talking us with empty promises. Only once have they threw a few dollars to the teachers, Erev Pesach last year. Nothing more it’s a game they play but their game should be over. This is totally outrageous and disgusting. We parents should come together (demonstrate) make a מחאה . Teachers should form strongly together and be strong with a protest. Without teachers they have nothing. No normal person would accept a teachers job at this time. They have absolutely nothing to fear. Enough is enough. Boys your game is coming to an end. You neglected to mention that the board has been singing all checks in past two years , and you were involved in every detail. Trying to hide and blame bookkeeping on all your faliures won’t work. Fact is until you came on the total debt from BR was $3.500.000 interest free. And now it’s over $7.000.000. With more then half at over 14% interest paid in advance. A simple search will show all mortgages taken out by board members. What’s with the Charity boxes that we received in the mail ? No Bh on it no mention of a Tzedoka Box or Pushka ? What did Bais Rivkah become the Salvation Army . Jacobson says the only money actually raised was the 350k from the public and all the matchers was old debt they are ow forgiving?! 1) He was a marcher so he was owed 350k he has ow forgiven? can anyone confirm his “note” was actually forgiven? 2) what about Keren Chumesh and Rabbi Krinsky’ s 350K? was that also old debt that was forgiven?? When you have board member taking high- VERY HIGH interest,and when u have the biggest debt that bais rivkah ever had and avremel playing around with money… there really isn’t any hope. All this board did so far was make 1 BIG MESS. Three years ago these same pepole on the board told us that once minkowitz is out and once Benji will resign from board there will be millions of dollars coming in. Since then the new board signs all checks and they have a board member full time in accounting department. To come two years later and blame bookkeeping is low, wrong and being deceptive. What happened with that raffle? What happened with the dinner last year where you sent out invitations for a dinner that never happened? what happened with the new tuition system you put in last summer which you hired and executive to run? What happend with that new director Botwinick who was paid over $250.000 ? What happend with the two new fundraisers that you hired that was going to bring in over a million dollars a year “first year”? Is that also the bookkeeping department fault?? Or is that also the old administrator fault. The only right thing for you to do is resign. Even though that will mean the new pepole will have to clean up your mess. To tell people that every dollar they donate will be quadrupled. This was simply not true. It was supposed to be used for the current running of school. I feel cheated. To crownheights.info : please remove this article. Who gains from bashing a school? Who gains from bashing others? – in public!! Who gains from speaking lashon hora? So what is the point? What is the point? Clearly no one gains from having this article here. Certainly everybody loses. Those speaking, and those being spoken about. It is not fair to speak so badly of others publicly online. It’s disgusting and rude, embarrasses fellow Jews, and goes against basic mentschlichkeit. To everyone reading this article: Lets stop it already with the negativity. Stop with the people bashing. Stop with the name calling. These people are putting in tireless efforts to rebuild our school- the school of our girls. How dare anyone try to uproot what others are working to build? How about you take on the messy job of fixing a school? How well would you handle it? It’s very easy to place blame on others. But that is simply immature. Let beis rivkah teachers have their privacy. This information does not belong in the public. Let us be a community, where we build each other up, not tear each other down. You sound more like the wife of one of the board members than someone concerned with Shimiras halashon . This is toeles – to get rid of the board and everyone else. Let the tuition go straight to the teachers and dump the rest of the administration. 1. The ends don’t justify the means. Treating the old staff in BR like they are now janitors, with zero respect and going behind their backs is appalling! 2. Coming in with an attitude that we will make all decisions, no buts about it, with their stubbornness and ego does not allow for the building of the school. Selfishness and ego only leads to distruction. Hate speeches and personal agenda will not get you very far. So stop saying they put in so many hours as the reason for their credibility. There are many people who worked tirelessly for a project that failed. Time doesn’t equal capability. Is there anyone overseeing the boards actions? Is there anyone telling them the dos and don’ts of the school? Wow! how hard do they work they give loans instead of fundraising so they can get 12% personal profit. Did the board work hard on registration this past year for some reason I sent in my form and it took 2 months for them to reply their excuse was sorry we were in the bungalow colony. is that normal if you are running a school you need to take responsibility and show up. Do the board members come to school and ask the principals and teachers how things are going, obviously not so what type of hard work are they doing. Nothing nadda! Are you serious? Do you know how much money in interest they are making. Do you know since they got involved in school, the school has a bigger debt. What good did they do? 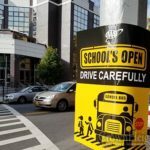 Why is a private schools issues being posted on general websites? Thanks CrownHeights.info for posting and letting us know about this, it’s OUR COMMUNITY SCHOOL, let’s not let this group of bullies take it away and use it for there private agenda. Deciding who should be the “Vaad Ruchni” and who the “Executive director”…. It’s beyond me how a website that claims to be shulchan-aruch abiding, holier-than-thou can be a forum for such loshon hora and blatant lies. All loans extended to the school are interest-free. Reporting sensational half-truths is unconscionable if not outright malicious. You should be ashamed of yourselves. Of course you won’t print this comment…. You only have the guts to call others out on their faults, real or imagined. You should be ashamed for stealing the money. Bring the proof that board members did not take payments for their loans. The board scrutinized the old management about their books and finally realized that nothing was wrong with them. Now, let the new board show the community that they practice what they preach and show the books to all. This is better than a class b movie.And the beat keeps going on and on……. Every one stood quiet when the new board Hijacked the school for personal gain. Threw out anyone by force & shame that we’re standing in thier way to extort money from the school. It might be to late. 1. Stop RAS from continually embezzling the school funds. 2. Get rid of the egotistical & self centered board. 3. Bring back the people that ran the school with strength & dignity. You all know how they are. People have their financial “ups and down”; some months are great and some aren’t. Business has “ups and downs”. There’s no way for us parents to know right now if this is just Beis Rivkah having their own “ups and downs” or something more concerning. We’ll only know after time passes and we see what happens later! is it true that people on the board are treating benji disgustingly and everything is done behind is back? how is benjy part of the problem he has no say. these issues that are arising are due to the board and Mrs. Boaz. old management was vindicated after the board looked over the books. the board is trying to say everything is the old managements fault at what time can we see that they don’t know what they are doing. when will crown heights residents wake up! the time is now to kick these bums out! they had their turn and showed us they are just there for personal profit. RAS & the newly proclaimed board. Have robbed the community for years. They threw out the ones that were not letting them steal. They have signed over deeds & mortgaged the school to the roof. It’s about time the community takes action. 1. Have RAS & the new “board” return all they looted from the school. 2. Get rid of the thieves. 3. Bring back (if possible) the 2 people that built & protected the school. With Hashem help you will stop the thieves, & restore Bais Rivkah to be a crown heights school not a piggy bank for RAS & the board high interest returns. It totally belongs to the public! The board goes around parading how great they are and how terrible the old management was. In truth, what did the new board accomplish nothing just they gave personal loans with high interest to the school. They mortgage property and now they did a charidy event just to pay themselves their interest. A bushe vcharpa that we allowed such poeple to run the school. What was the dude from South America thinking when he decided to give it over to them. Perhaps his comment on Facebook regarding having kids if it selfish or not can explain is motivation behind the new board. For those that are screaming “lashon horah!”, This is a community school, and we, the community aught to know what is happening. You can’t really consider Beis Rivkah a private school. What goes on in the administration effects everyone in the school and there is a responsibility to be open with the community about the recent changes in leadership. I heard there are rumors that the other websites that write in favor of the board got their tuition lowered or even got to send their kids for free on condition they post only what the board wants. Crown heights residence need to wake up and smell the coffee the time has come for poeple to forgive Leima. The board tossed him like he was a villain. Meanwhile it seems he was doing the best he was able to do under the circumstances. Perhaps we need a resignation from the president of the board. The board should consist of poeple who live in crown heights and not people who live in Pennsylvania. In addition there should be open elections on who gets to be on the board. Why are there people on the board who openly curse in the street. I thought Charidy.com vets each campaign to make sure the matching funds are real! So who is lying here? I would love to head up an audit team to present independent disclosure of all BR’s expenses, cash receipts, and debt obligations. To #11–Rabbi Shemtov is not taking any BR money for Aguch Philadelphia. There is no aguch in Philly and if it wouldn’t be for the mi sheberachs that Rabbi Shemtov makes every Shabbos, Beis Rivka would be “in der erd”! The bigger issue is the fact that there are still 3 payrolls owed from a year and a half ago. This was supposed to be paid beginning of this year. Beginning of year they gave two on old from a total of five, so they are still owed 3. According to board they are not making any commitments as to when those 3 will be paid. Now we got this lette which has similar language so we are afraid that this payroll will pile on to the 3 already owed. Time for board to take a hike. The school has a debt of $2.350.000 a year. When old administration was in they used to raise close to $2.000.000 each year. YES you are reading correctly. Since they got rid of minkowitz and demoralized Benji. And hired two VERY high paying fund raisers (which get paid each week regardless) about $230.000 was raised in past TWO YEARS. So now you have your answer. This board obviously have other interests some say they may want to privatize a lot of the property that old administrator assembled for future growth and sell them to themselves. They already took out liens and mortgages on them. i think a federal investigation should be opened on this matter. makes no sense to me! Board memebers have houses in the country, travel and so on, and teachers are left with no pay? a shande! What was wrong with the way things were. This is a big mess. I hope the teachers strike the new board! The school is paying the salaries on Monday. Now instead we have a whole group of board members that ppl have connections to. So all their friends are getting lowered tuition, jobs (even if they are not capable), and lending money for interest profit. So how are we better off with the board? Same garbage, just with bigger amount of ppl. I thought that the board was going to give us transparency. This is called transparency when they hide and don’t let anyone know what is really going on in Bais Rivkah? Every year the school started late & teachers were NOT paid in full – far from it. They hadn’t been paid the salaries they were working for since February. Would YOU work for free? For back pay instead of the money you earned this week? Knowing that if you leave you will NEVER see the money owed to you? I taught back in 80’s/90’s. I am still owed money, not that I ever did anything about it, because I knew there was no point. BTW it was government money, which never made its way into our (very delayed) paychecks. I seriously can’t figure out why the school has been in the red for decades, but I did think the new brooms were going to sweep clean. It’s very simple math and doesn’t take a genius to figure out. When the board came in they thought they would look at the books, scrutinize the finances and get rid of the people that are mismanaging the funds. When the books were opened, the reports all pulled, it opened their eyes, that funds were not being mismanaged, rather, Beis Rivkah is a school that doesn’t turn away a child for financial reasons, therefore there are many that are paying very little for tuition, and the school can’t survive on the tuition income alone. For all these years, it was R Avremel Shemtov who’s responsibility was to make sure BR brings in money through fundraising. In the recent years, when his funds have been coming in less, the school has had deficits that the administration has been trying to juggle. For these hard years Benjy himself would find lenders, not high interest loans, to pay teachers when the funds were tight. The ONLY answer to the situation is some seriously invested fundraisers that are experienced and know what they are doing. Getting rid of Benjy, thinking he is the problem, will just make the school collapse. He holds up every department and actually cares for the kids there. These board members give so many hours of their time to attempt to fix up so many years of a huge mess! Are all of you accusers aware of what it takes to clear years of mess and attempt to keep this school afloat?? Any feelings of thanks and trust?? Your comments are sickening. What have you done practically for beis rivka other than scream at whoever is in charge? I wish you would hear from the poeple that work in the financial office. I don’t think any of the board members came in to do registration this past year. Registration was done so poorly that the board does not even know all the details about people’s registration. In addition, the board has never met with most of the principal’s. They once met with the teachers and they had to leave because the teachers caught them in many lies. They were disgusting in telling the teachers that they will get their “prize” (salary) so don’t worry. The board is just a bunch of people who are looking out for themselves, if the community wants a school for the community we need to have a complete overhaul. i work in bais rivkah and was on the phone with Rabbi Stock until literally five minutes before shabbos with an issue in school. no one is as dedicated and devoted as benji. its disgusting how he is being treated and we the teachers and staff will not let this go! – just remember who hired benji to work in bais rivkah! I agree that Benjy has dedicated himself to BR & to CSSY. But one man can’t do everything; the problem as I see it is either total incompetency or corruption. I would suggest bringing in a NON-JEWISH fixer (I forget the professional term for such a person) who will not be swayed by yichus, Jewish Geography, or anything. Let him and his team go through & watch everything & everyone – including teachers. Then whatever his recommendations are, they should be implemented. Yes it will cost, but it is necessary to stop the rot. And if it means shoving people out, so be it, because this clearly isn’t working – to no-one’s surprise. I love the comments;This is the real Lubavitch. Can we at least give the new board a chance? The school has been mismanaged for several decades. You can’t undo the damage overnight. It was literally only a few months ago that the new board got full control of the school. Can we at least give them one year to get things straightened out? Thank you Beis Chaya Mushka for making sure our dedicated and hard working staff gets paid on time and even earlier before a Yom Tov. No fanfare, no begging for money from our struggling community. Just a Principal, Rabbi Plotkin who works tirelessly to make our school run. BR, do your dedicated staff a favor and find out what he does right. I would be careful before making such statements. BCM is a much smaller school. They have their own proprietary “methods” of raising money that would be unwise to share out in the open. Crime. The churning of personal loans with exhorbitant interest rates. Also seems like a financial crime. Hoping we don’t have any real investigation. As parents how are we going. To know that Board members are giving loans with High interest? This could be going on and on and we will never know. Also i heard that one member announced at a meeting that the board needs to treat the parents badly to gain respect and this will force parents to pay more tuition with money they don’t have. I don’t think this is what the rebbe had in mind. 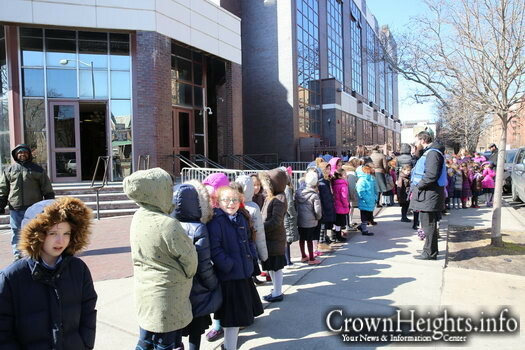 Is the any real hope for a frum and honest person in Crown Heights? Everyone is able to obtain a copy of Bais Rivka’s 990 (their tax return). You can go to numerous websites to obtain this info for example guidestar.org and sign up for a free account. I would love an explanation where on page 33 it details how Bais Rivka paid grants to other organizations such as MY Keren Hashluchim in the amount of $1,506,950, and to Machne Israel in the amount of $200,000 and lastly Collel Chabad in the amount of $269,000. What is this all about??? Maybe it was to pay back loans ? i fail to see how a frum and erlich person can now survive in Crown Heights? When I read the comments, i was really surprised how much Lashon Hara, bad- mouthing and just plain not being nice I saw. All of Bnei Yisrael are siblings. Why do people have the need to go ahead and speak not nicely to their own family??? So the board might not be the best business men, but that doesn’t mean that everyone has to make a huge deal of it, posting it on a world wide web. Yes, some of you might have had good intentions, but still, posting it black on white?? This might have been posted asking for fund raiser/ donors, you never know. Don’t just read something like this article and start bad mouthing the board. They are most likely trying the hardest they can, putting in a lot of sweat, time, and most likely even sleep. They do not deserve this! All we should take from this is hoping that BR will get some financial help and come out of this crisis. We should definitely also ask Hashem when Moshiach will finally come. We have been waiting much too long; it is time! Ad mosai!! wake up there is not time to be ignorant! Is 100% fraud. The entire school should be put into receivership and the entire board dissolved with courts appointing new leadership and criminal charges filed. This is not how the Rebbe would want his school run…. Why should the BR Community be So surprised?. When you appoint lightweights who are ego-driven, insecure and inexperienced to the BR Board, the results are very predictable. These are guys with lots of time, little to no Board experience except for making a few bucks from their businesses. They are not bright or even smart. They are all “wannabees”. BR has become their sandbox. Its really time to stop complaining like a bunch of lost children (see all the comments) and start taking action. Complaints are really really getting stale. the bottom line is they brought in a lady that has no connection to chabad or experience in running a scool to run bais rivkah (never mind her past history-you do your research) yet rabbi a shemtov will yell its the rebbe school. all he cares about is himself and a job for his son LS. they did this behind Rabbi Stocks back if she was so great and highly recommended why whould they have to do it behind someones back? they took workers that worked in bais rivkah and threw them out of their offices to a new location so the board and only the board can have full control of whats going on they dont want people knowing the next time they give a loan on interest. what ever happend to the other executive director they hired shouldnt we know why he left? for a board the walks around screaming transparency not one thing they have done or do is transparent! 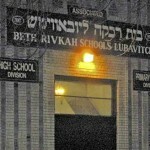 The parent body should wake up and make a stink to find out what is really happening in Bais Rivkah. Everyone is asleep at the wheel big time.. There is no leadership, no vision, no direction no professionalism. Just a lot of young foolish guys blowing a lot of smoke. Unfortunately the teachers, students and community are paying a very heavy price for a lack of transparency, accountability, truthfulness, derech eretz and smarts. These are Board members who could not make it onto other school boards, but love to see their pictures posted on websites. Now that’s the true test of leadership — its not complaining, firing people, changing office locks, bullying staff, or borrowing money…….